It should be noted that Trump's latest rhetoric seems a preparation for quick pullout, or big coming announcement: "It should be formally announced sometime, probably next week, that we will have 100% of the caliphate", the president said Wednesday during an anti-ISIL coalition speech at the State Department. The Pentagon is preparing to pull all US forces out of Syria by the end of April, even though the Trump administration has yet to come up with a plan to protect its Kurdish partners from attack when they leave, current and former USA officials said. 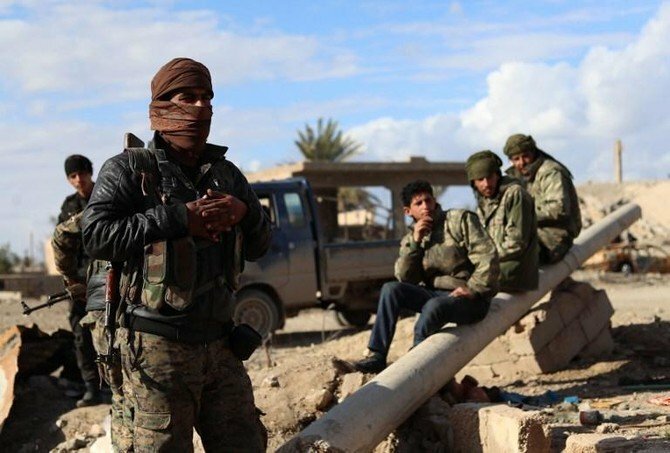 With many foreign governments reluctant to repatriate citizens who supported ISIS, and Syria's Kurds insisting they are unable to hold the prisoners long term, rights organisations have warned that foreign fighters face illegal rendition to Iraq. This file image made from video posted on a militant website July 5, 2014, shows the leader of the Islamic State group, Abu Bakr al-Baghdadi, delivering a sermon at a mosque in Iraq.